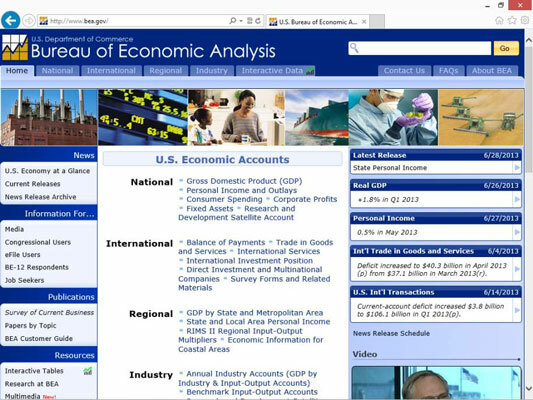 Not surprisingly, then, the BEA gives businesspeople lots of information about U.S. economic growth, regional economic development, and the nation’s position in the world economy. The BEA website provides Internet users fast-and-easy access to most of the BEA’s publications. 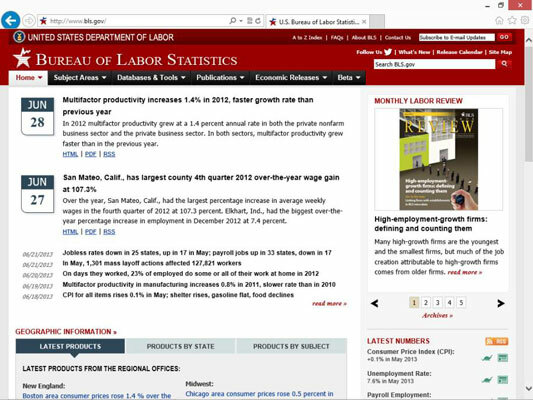 The BLS website, not surprisingly, provides a bucketload of information related to labor economics. 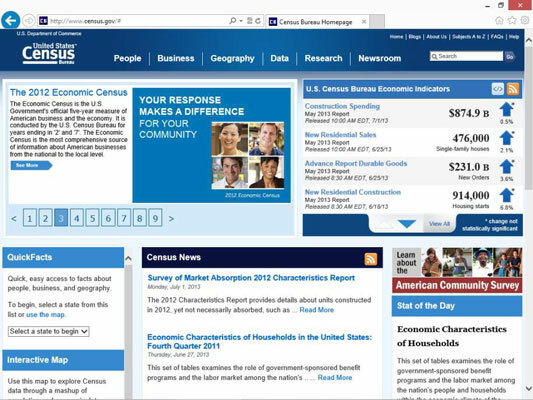 The Census Bureau, as you may know, collects and provides demographic data about people and the economy of the United States. The Census Bureau website, provides links to much of the data that the agency collects and disseminates. 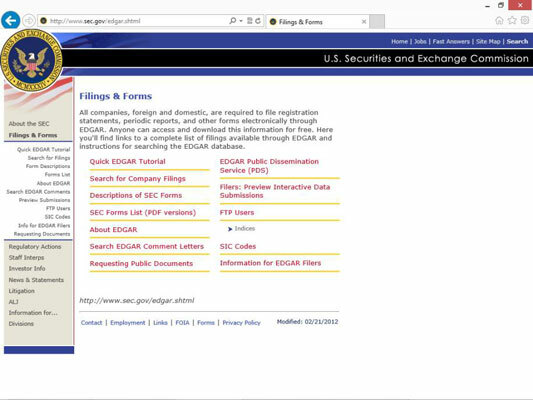 EDGAR, an acronym for Electronic Data Gathering, Analysis and Retrieval system, performs automated collection, validation, indexing, acceptance, and forwarding of submissions by companies and others that are required by law to file forms with the U.S. Securities and Exchange Commission. The U.S. Federal Reserve System website provides information about the activities of the Federal Reserve System, called the Fed for short (not to be confused with the feds, who like to show up at your door wearing unfashionable suits and packing heat). 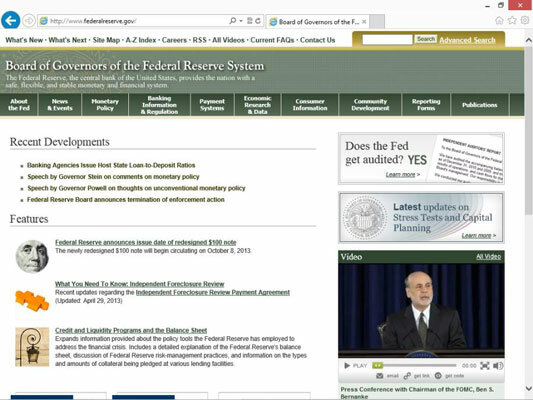 You can use this website to access much of the data that the Fed develops and disseminates. As the Federal Reserve System home page notes, the Federal Reserve — the central bank of the United States — manages the nation’s monetary policy, supervises and regulates banking, monitors the nation’s financial system, and provides financial services to the U.S. government and other public agencies. 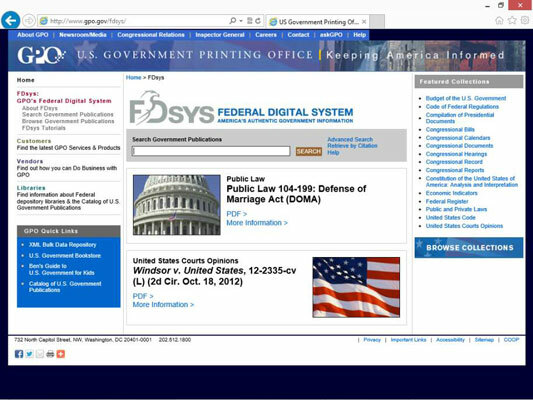 One relatively unknown but extremely valuable government resource is the Government Printing Office (GPO) website. The GPO website gives you online access to probably every government publication that is actively being printed and is available online. This means that you can use the website to get publications from any of the other websites discussed in this list, as well as documents published by other government agencies. The website of the Internal Revenue Service (IRS) deserves mentioning. Although the website is tailored to consumers, not businesses, it’s still incredibly useful to anybody in business. 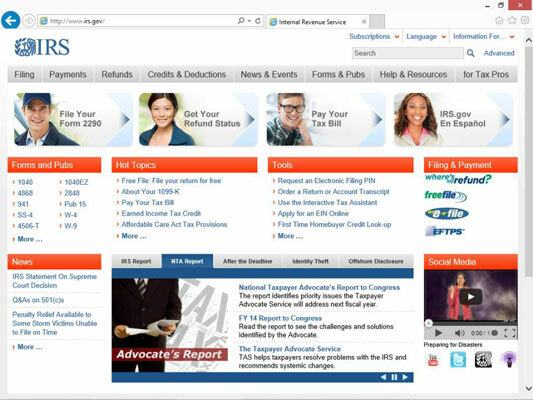 From this website, you can retrieve printable versions of nearly all IRS publications and forms.